Hoc item verum est nihil est absconditum quod non sit retegendum; ideo, post me veniet cujus magnale nundum vivit qui multa revelabit. "Contemplate the workings of this world, listen to the words of the wise, and take all that is good as your own. With this as your base, open your own door to truth. Do not overlook the truth that is right before you. Study how water flows in a valley stream, smoothly and freely between the rocks. Also learn from holy books and wise people. Everything – even mountains, rivers, plants and trees – should be your teacher." The Brotherhood of the Rosy Cross is an ancient fraternity, a true Secret Order of the mysteries possessing genuine secrets and teaching the Way of the Rosy Cross and inner power. Its symbols conceal more than just moral lessons – hidden within its chambers are many mysteries and wondrous knowledge. 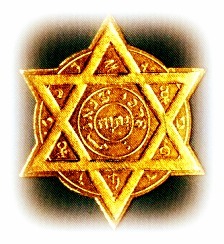 The Brotherhood possesses the secret keys which unlock the hidden meanings behind the ancient symbols and guide the seeker towards the attainment of illumination, virtue, prosperity and success. Being the Collegium of House of the Holy Ghost, The Brotherhood of the Rosy Cross is quickened by that same lively Spirit, with signs and wonders following. Under the sacred rose, the Rosicrucian Brothers and Sisters veil themselves in secrecy and in silence communicate these mysteries. "Learn to know all, but keep thyself unknown."